Gradually, gradually, the mathematicians are taking over the world. Having already conquered (by which I mean ‘colonised pubs once a month’) in places as far-flung as Melbourne, Houston, Bombay and Edinburgh, MathsJam will be making its debut in Cape Town, South Africa on Tuesday February 19th. 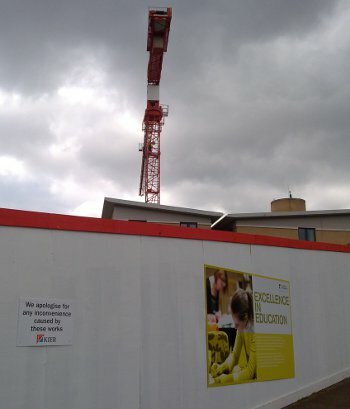 They’re extending an existing building (IESSG), although I think the extension will be substantially bigger than the existing building. 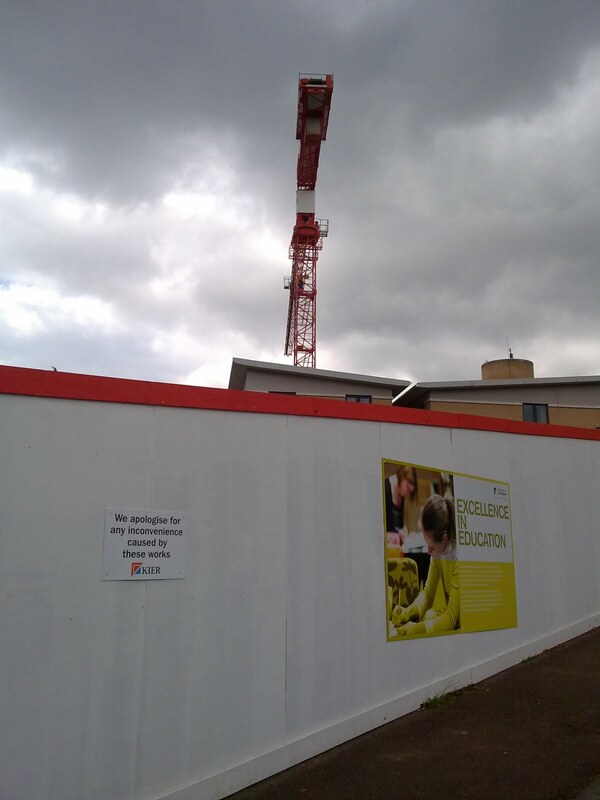 This means Nottingham will follow several other recent moves by UK mathematics departments into new buildings. Off the top of my head, there’s Cambridge (2000-2003), Heriot-Watt (2005), Nottingham Trent (2005), Manchester (2007), Bath (2010), and upcoming at Oxford and Bristol. There are probably others I’ve forgotten. Web site logs are compelling and addictive. I have just got lost in the logs for the blog and podcast for half an hour before my phone beeped and drew me back to the real world. Anyway, I am interested to see the following websites sending people to this blog and the Travels in a Mathematical World podcast. Did you notice “mentioned in class”? Very exciting! There are people visiting from the post on the noticeboard of the KTN for Industrial Mathematics, who are involved with linking research with business. We have hits coming in from condron.us, which seems to be a site which flashes different blogs at you for a few seconds each until you see one you want to read. I’m not sure if this is people reading it then, or just waiting the four seconds until the next blog! This is a page of interesting looking links which includes a link to the podcast. Paul was in episode 14 of the Travels in a Mathematical World podcast and links to this from his page on Public Understanding of Mathematics. We are linked in the IMA entry on Wikipedia! Fame and fortune beckon… The podcast gets a mention in the Publications section of the page (with a link to the Travels in a Mathematical World entry that doesn’t currently exist; Hint, anyone?) and the link is in the External Links section. I am glad to see the blog and podcast are linked to, sometimes along with the IMA Careers Advice leaflet and Maths Careers website, from the following universities: Bath, Brunel, Dundee, Queen Mary (London) and Warwick. I do not know if these are the only universities that link to the blog or podcast, but these are the ones that are appearing in the web logs. “Careers for Mathematicians” is now available as a PDF through the IMA website Student page. It contains some useful careers advice targeted to mathematics students and graduates. On Tuesday I attended the launch of a new IMA Branch: West of England. This is very pleasing as the Branches have the potential to be a huge benefit to members. The champions of this are Garrod Musto, Dr Alison Hooper and Edward Glennie. Garrod is Head of Mathematics at Kingswood Senior School in Bath and this is where the meeting took place. The talk was by Professor Chris Budd of the University of Bath titled “Confessions of an Industrial Mathematician,” on the theme of his article of the same title in the Febuary 2008 issue of Mathematics Today. Chris is an excellent speaker and the talk was interesting, though I had to make an anxious dash at the end for a train! 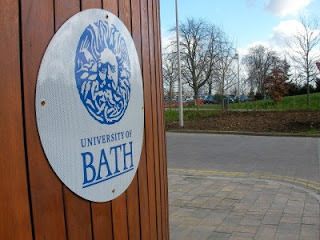 It is the Easter holidays and I spent the week in Bath and visited Bath and Bristol Universities. Because it was the holidays there were fewer people around than there would be in term time but I still had several useful meetings. At Bath, I had a meeting with several IMA members and discussed views on the IMA and its website. 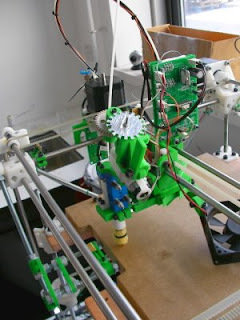 I also had interesting chats with Dr Adrian Bowyer about his work in mechanical engineering and on the RepRap self-replicating machine (photographed below) and Dr Paul Shepherd about his research in modelling architecture. I also was able to meet with Sue Briault of the Bath Careers Advisory Service, who will be giving talks in the new term to undergraduate mathematicians on careers. Sue previously worked at the University of Nottingham and wrote for the Centre for Career Development Career Matters website, which looks like an interesting resource and contains documents such as this PDF on options with Mathematical Sciences degrees.